Ryuunosuke is the resident of room 102. Ryuunosuke is a second-year student of Suiko. He is a hikikomori who rarely leaves his room, and usually communicates with others with cellphone message or e-mails. To reduce the need to communicate with others, he has written the "Maid" program. He is an expert of computer programming, and contributes lots of useful advice and information to Sorata for the latter's computer game. According to Ryuunosuke, his ultimate goal is to make Maid become a real human. He has gynophobia, and will even pass out when girls touch him, which becomes worse after Rita falls in love with him and kisses him on the cheek. 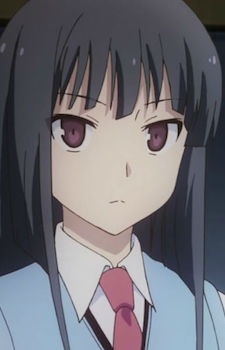 During his middle school years, Ryuunosuke was a part of a game project made by his friends, but he was too intelligent that the others did not manage to make up to his demands and shunned him from the project, resulting in Ryuunosuke to be wary of friendship (even everyone in Sakura Dormitory) and fear women. However, after a call from Rita, he manages to get over his fear of friendship and help his friends to prevent Sakura Dormitory from being demolished.